Mildred Lea Rivers, 83, of Bell City passed away Saturday, May 16, 2009, at Poplar Bluff Regional Hospital in Poplar Bluff, Mo. She was born Aug. 31, 1925, at Dongola, Mo., daughter of Walter and Maude Reitman Bidewell. Mildred retired as the city clerk of Bell City. She was a graduate of Lutesville High School. 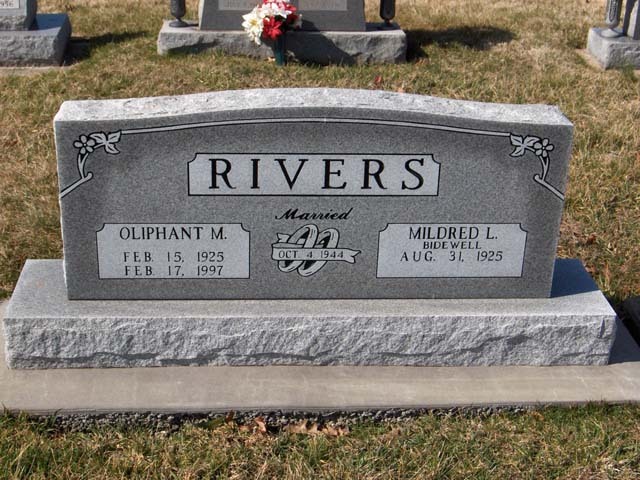 Mildred and Mitchell "Doc" Rivers were united in marriage Oct. 4, 1944, at Ninety Six, S.C. He preceded her in death Feb. 17, 1997. Survivors include a son, Daniel (Tracy) Rivers of O'Fallon, Ill.; two daughters, Sheilah (Veri) Coomer of Lumberton, Miss., Hollye (Terry) Abner of Poplar Bluff; five grandchildren, Lawrence Coomer, Alexender Coomer, Erin Rivers, Kathryn Rivers and Jacob Abner. 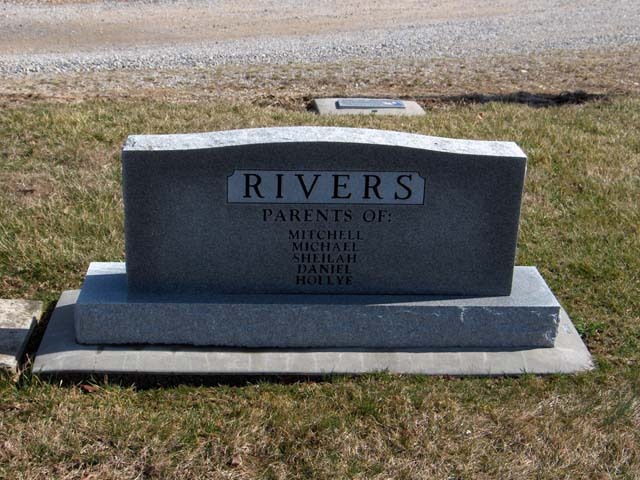 She was preceded in death by two sons, Mitchell Rivers and Michael Rivers; a grandson, Bryan Coomer; a sister, Helen Welch; and an infant brother. Visitation will be from 11 a.m. to service time Friday at Morgan Funeral Home in Advance, Mo. The funeral will be at 1 p.m. Friday at the funeral home. Burial will be in Bollinger County Memorial Park in Marble Hill, Mo.